Blue, Double Weave, 900gsm, 100% cotton. 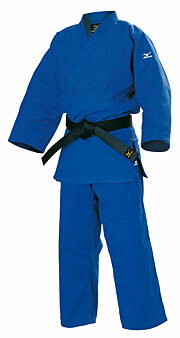 Our top selling competition judogi. Shrinkage: with the blue Shiais you can expect minimal shrinkage, around 20-25mm maximum on the sleeves if washed correctly. Available in sizes 1 (150cm) to 6 (200cm).